Ben Foden has made 10 good tackles so far this game. Ben Spencer scores the try from close range. 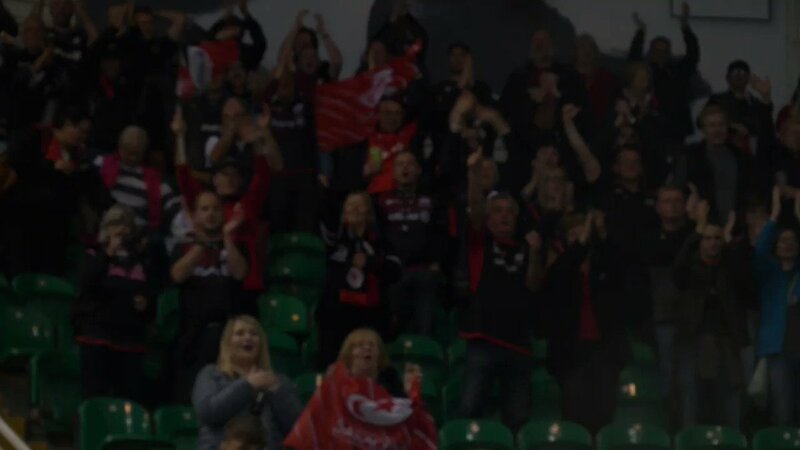 The Northampton supporters go wild as Harry Mallinder successfully kicks the conversion. Great forward play by Northampton allows Mike Haywood to score the try. 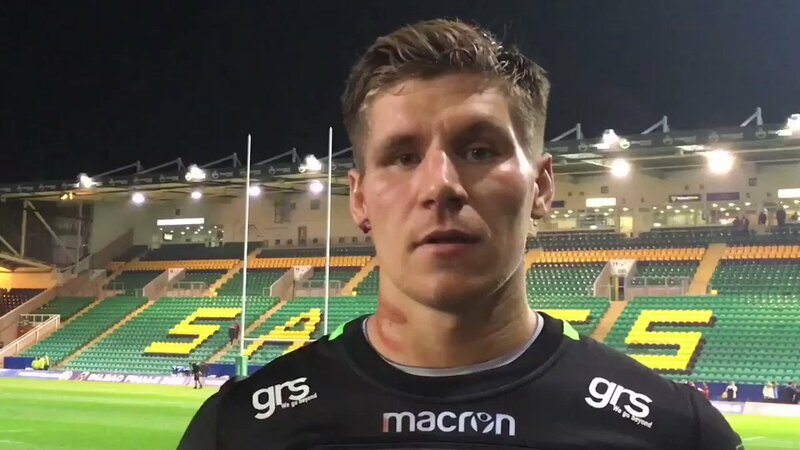 Oh what a hit by Owen Farrell, stopping the ball carrier in his tracks!!!!. What a tackle there by Jackson Wray as he saves a certain try!. Ahsee Tuala makes the break as the defence re-enacts the parting of the red sea. Dominic Day comes on for Saracens. Nick Isiekwe leaves the field. Liam Williams sets up the try. 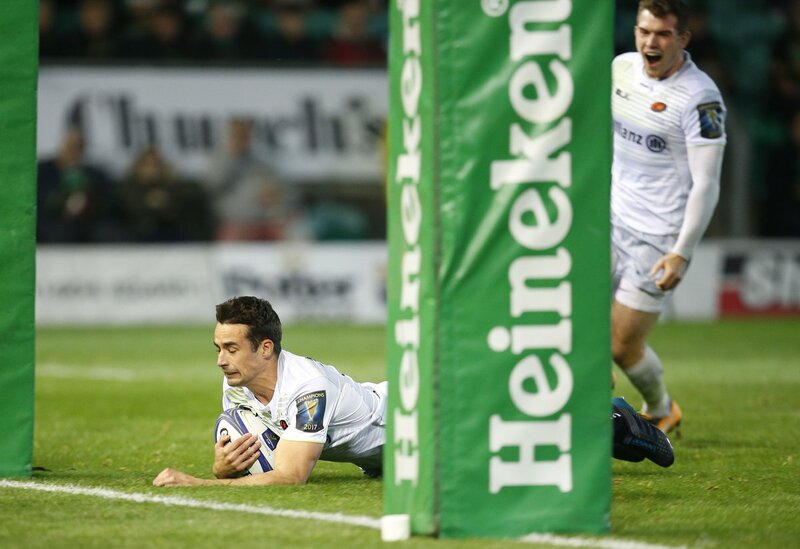 Silky skills by Saracens ends with a try for Alex Lozowski. Saracens are only a few metres out, surely they must score! 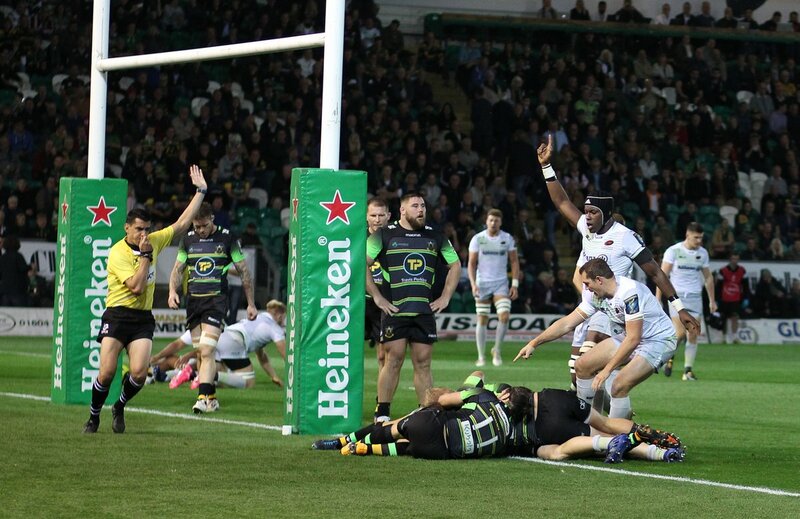 And they do with Mako Vunipola touching down. This is dangerous for the defence as Duncan Taylor bursts through to advance the Saracens attack. Saracens decide to make a substitution, with Brad Barritt being replaced. Northampton make a substitution with Harry Mallinder coming on. Northampton make a substitution with Stephen Myler coming off. Saracens sub Schalk Burger comes onto the field. 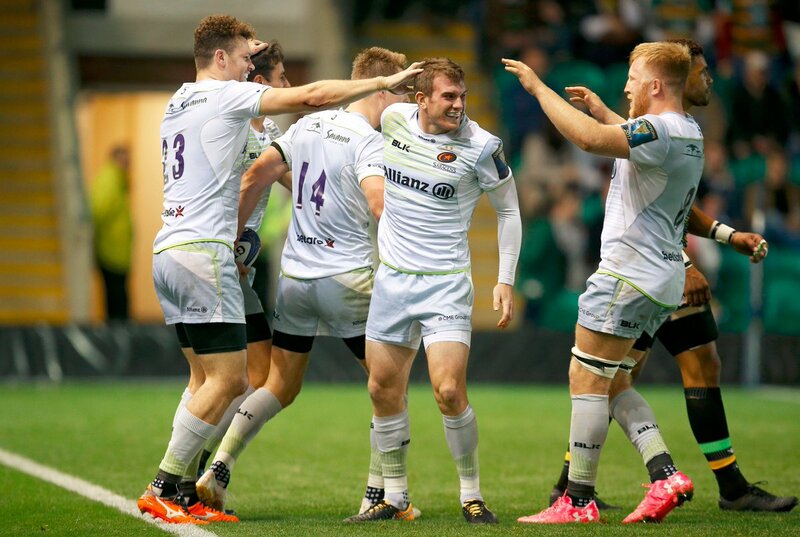 Calum Clark departs for Saracens. Alex Waller has made 10 good tackles so far this game. Northampton decide to make a substitution, with Jamal Ford-Robinson getting some game time. Northampton make a substitution with Nic Groom coming on. David Ribbans departs for Northampton. Richard Wigglesworth played a key part in that try. A wonderful passing move by Saracens is finished off by Vincent Koch. Nobody could stop that maul! Calum Clark places the ball down for the try. David Ribbans (Northampton) is shown a yellow card. Duncan Taylor comes on for Saracens. 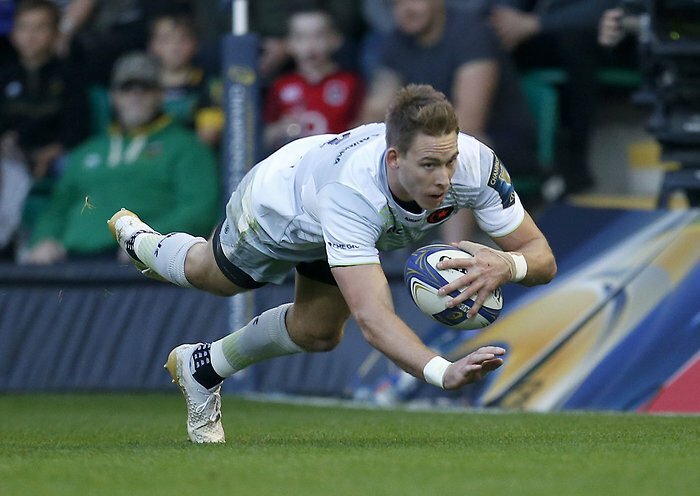 A series of passes by Saracens results in a try for Liam Williams. George North makes the break as the defence re-enacts the parting of the red sea. 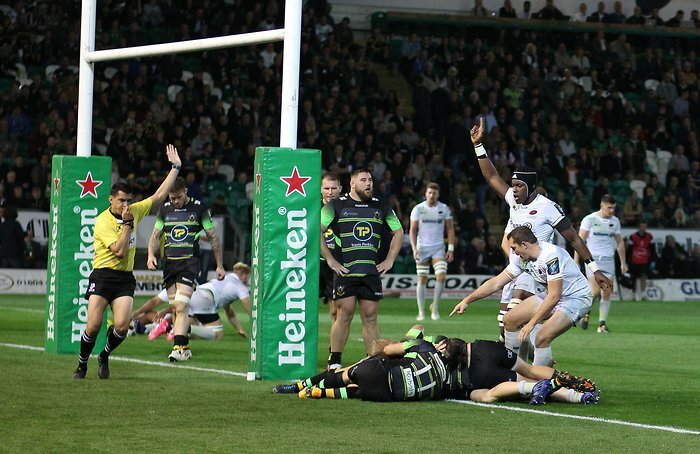 The Saracens pack has powered over for Brad Barritt to score the try. Trouble here as Chris Wyles breaches the defence. This is dangerous for the defence as Liam Williams bursts through to advance the Saracens attack. A gap opened in the defence and Vincent Koch took full advantage. Chris Wyles sets up the try. @KeithALondon @Halcruttenden What do your reckon @Halcruttenden? 79' @owen_faz converts for @Saracens. 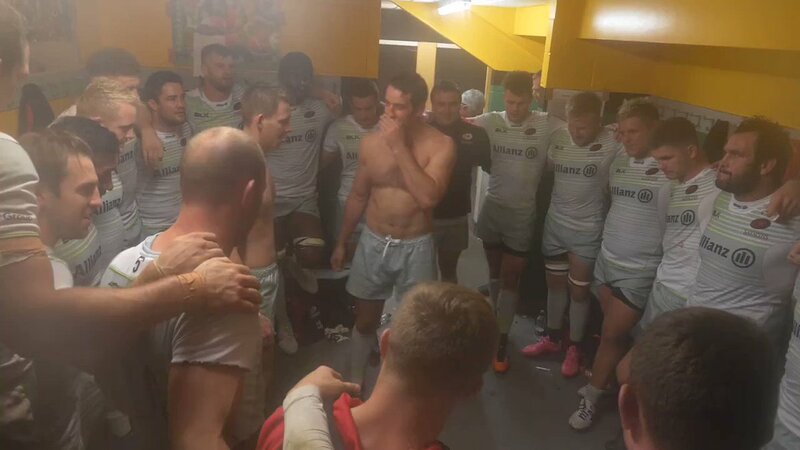 8 tries for Sarries tonight. 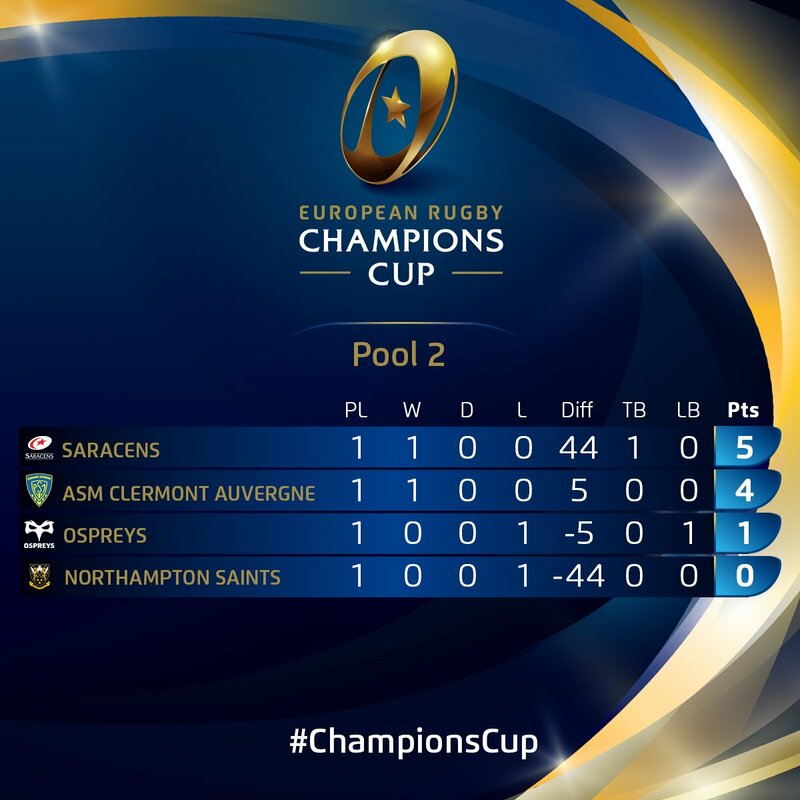 75' Saints hammering away at the Sarries line and they get their consolation score. Haywood the scorer. @KeithALondon @owen_faz Corrected Keith. Thanks for the heads up. 69' @owen_faz lands the kick at the Gardens' begins to empty. 59' Piece of magic from @SanjayWills who does brilliantly to keep in a Myler kick to touch.